Twenty years after its independence from Ethiopia, the African state of Eritrea has become what watchdog groups describe as “a giant prison”. A country with no civil society, Eritrea is devoid of international monitoring, independent media, and basic human rights. Freedom of religion is greatly restricted, as only four faiths are officially recognized by the state. In widespread government crackdowns justified by a continuing “state of emergency”, journalists and dissidents are jailed in a network of secret prisons, and often never heard of again. Former detainees describe squalid conditions and rampant torture. 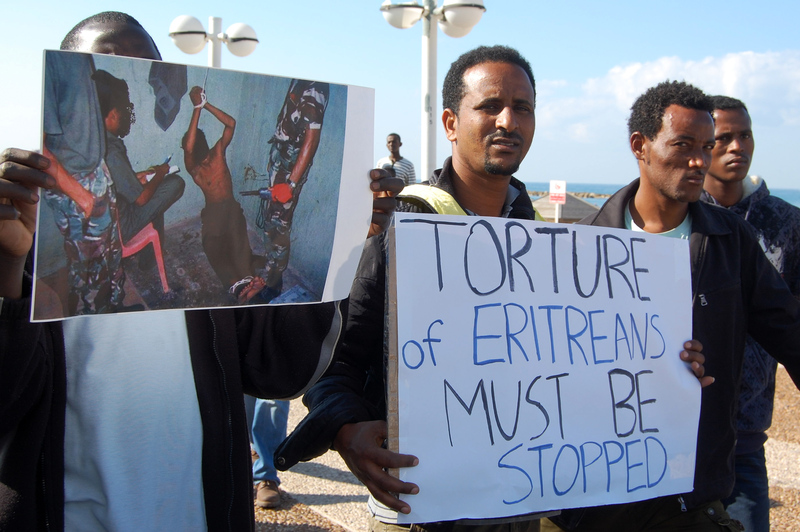 Abroad, refugees and concerned global citizens demand transparency and accountability of the Eritrean government, and freedom and democracy for its people.